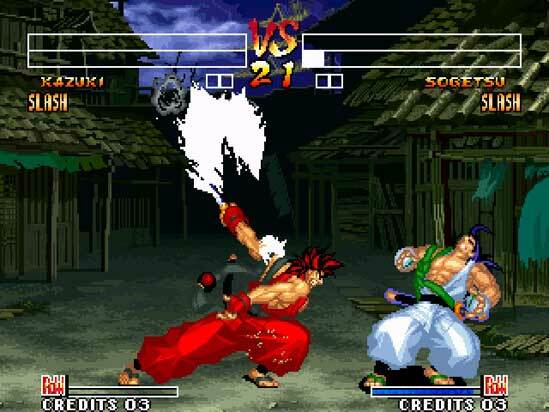 Samurai Shodown IV: Amakusa’s Revenge is the fourth installment in the Samurai Shodown series, which launched in 1996. The combat system is essentially the same as in the third installment, Blades of Blood, with tweaks added to enhance the combat experience, such as a vastly altered Rage Explosion System and more powerful chain combos. The ending also changes depending on the time it takes to clear the game, encouraging players to improve their skills and speed if they want to see the One True Ending. Players can choose from 17 samurai warriors, including new characters Kazuki Kazama and Sogetsu Kazama, to battle their way through the game. While the evil genius Dr. Robotnik is testing the ultmate destructive weapon, one of his assistants makes a mistake causing his lab to explode and scattering five Chaos Emeralds across the planet Mobius. Sonic and Tails spin-dash to rescue them. Tricky Knuckles streaks right behind, with sticky-fingered Nack the Weasel joining the hunt. Its a triple-threat race to see who will get the Emeralds first! Only you can save them. As Joe Musashi, Red leader of the Oboro School of Shinobi, your destiny awaits. An evil force emanating from Neo City has captured your fellow students. Attack with your powerful katana as you battle for their freedom. Each ninja you rescue adds their formidable weaponry, training and Ninjutsu magic to yours. Imagine a glowing magic crystal. As you gaze into it, an intense force pulls you in and causes a black out. You pinch yourself. But you don’t wake up. You’re caught in a fantastic world of unearthly beauty and deadly demons. Here, countless evil forces confront you. Your only ally is your loyal pet dragon. Nintendo is partnering with renowned Japanese animation studios to celebrate the Kid Icarus franchise and bring their latest creations exclusively to Nintendo 3DS and Nintendo Video. The first anime series, Thanatos Rising, comes from Production I.G. Look for videos from Shaft, Inc. and Studio 4°C, coming soon!